Lusk Outreach - Eastern Wyoming College - Eastern Wyoming College - It's A Great Decision! With a joint partnership between Niobrara County School District #1 and Eastern Wyoming College, we provide lifelong learning opportunities for the residents in and surrounding Niobrara County. We are pleased to offer a variety of quality credit and non-credit classes to help you achieve your personal and educational goals. 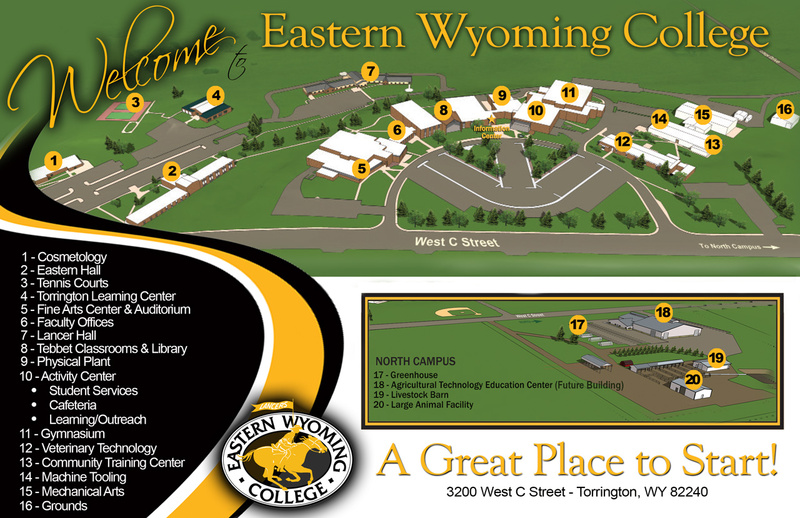 Eastern Wyoming College has a robust distance learning program, including several degrees and certificates that can be earned entirely from home. Individual distance classes are available to satisfy a number of general education requirements and electives. Contact the EWC Lusk Outreach Coordinator at (307) 334-2733 to register. Outreach scholarships are available! Ed2Go offers a wide range of highly interactive courses that you can take entirely over the Internet. All courses are led by expert instructors, many of whom are nationally known. These online courses are affordable, fun, fast, convenient, and geared just for you. Most courses run for six weeks with a 10-day grace period at the end. You can complete any course entirely from your home or office, day or night. Teachers, many courses are Professional Teaching Standards Board approved for development credit! The Adult Education (AE) program at EWC Lusk Outreach is a student-centered, individualized, goal-oriented educational program offered to the residents of Niobrara County. The ABE program offers assistance to adult learners who need to improve their basic literacy skills for a high school equivalency examination or for employment and/or educational purposes. Contact the EWC Lusk Outreach at (307) 334-2733 for more information. For assistance with registering for a high school equivalency examination, please contact the Eastern Wyoming College Lusk Outreach Coordinator at (307) 334-2733.